I received a question from one of my young friends yesterday. In answering it, I thought it will be best to do a full post on the subject because it wasn’t the first time I’d been asked the same question. To prevent the clumsiness of using both masculine and feminine pronouns, I’ll stick to the feminine since the question came from a girl, but the answer applies to both genders. I hope that many are blessed through reading this post both in identifying true friends and in being such friends themselves. “Please, ma, l really need your help. How can you know a true friend?” – Faith O.
Hi Faith! I’m glad you asked this question because friendship is an important aspect of life and the right friends can go a long way in making our lives easier and sweeter while the wrong friends can ruin us. Before I outline signs we can use to identify true friends, I want us to look at two examples of friendship from the Bible, one good, the other bad. The first is David’s famous friendship with Prince Jonathan which began after David killed Goliath in 1 Samuel 17. The Bible says in 1 Samuel 18:3 that Jonathan loved David as his own soul. That was why even though his father, King Saul, was trying to secure the kingdom for him by killing David, Jonathan defended David and helped him escape (1 Samuel 19:1-7; 1 Samuel 20). And while David was on the run, he came to visit and encourage him (1 Samuel 19:1-7; 1 Samuel 20; 1 Samuel 23:16-18). Unlike his father, Saul, Jonathan was not envious of Gods anointing on David concerning the kingship. He wanted to see David succeed and would have been content with a secondary role. You can see why David was devastated at the death of Jonathan and mourned him deeply (2 Samuel 1:11-27). Later, however, when they tried to make sense of his situation and proffer solutions, they missed it because they wrongly accused Job of wrongdoing and of being responsible for his plight. It became their word against his and they lost their sympathy for him in the ensuing arguments. When you juxtapose these two kinds of friendship, you will begin to see the differences between a true and a false friend. But I will itemise them for easy identification. A true friend helps you. She shares what she has with you when you’re in need. Anyone who keeps taking from you without giving back is not a true friend. 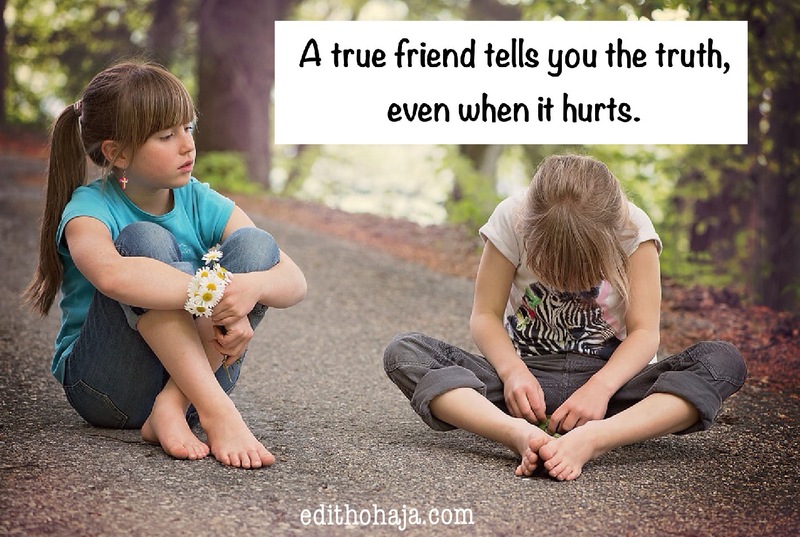 A true friend tells you the truth, even when it hurts. She does not deceive or flatter you. (When Amnon, David’s first son was lusting after his half-sister, Tamar, if Jonadab his cousin and friend whom he confided in had told him to snap out of it, he wouldn’t have lost his life at Absalom’s hand. Instead, Jonadab gave Amnon terrible advice. He told Amnon how to trick Tamar into being alone with him in his bedroom. Amnon raped Tamar and her brother, Absalom, killed him in revenge – 2 Samuel 13:1-29). A true friend supports you, she does not pull you down. Even when you guys are competing for something, she will be fair (‘Let the better side win’), not play dirty to win. A true friend encourages you, she does not mock you or terrify you. She will urge you to pursue your dreams. In short, she will want to see you become the best that you can be. A true friend keeps your secrets. She does not reveal them to tarnish your image or get along with others. A true friend stays with you whether you’re up or down, rich or poor, healthy or sick. She rejoices with you when things are rosy in your life, she grieves with you when the opposite is the case. In other words, fair weather friends are not true friends. As you can see, a true friend is a gift from God. She is loyal, unselfish and caring. She also prays for you if she’s spiritual. We need to be that kind of friend ourselves to those close to us if we want to receive the same treatment from others. Ultimately, the best friend of all is Jesus. Relating with Him through the Holy Spirit helps us to learn how to care for our friends and be cared for. “To him that is afflicted pity should be shewed from his friend” – Job 6:14. 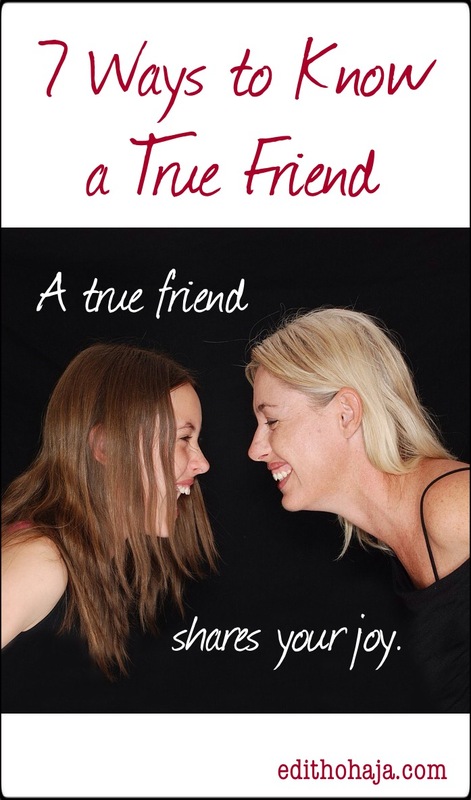 Are there other ways you can think of through which we can identify true friends? Perhaps you would like to share a testimony about someone whose friendship has truly blessed your life as I’ve done in two of the Related Posts above. Thanks a whole lot, Angela! Your visit means a lot to me. God bless the US too! I follow the news and pray that God uses Trump to reverse the evil done against traditional values under his predecessor. I also pray that He purifies for Himself a people ready for the return of our Lord Jesus, in the US, Nigeria and all over the world. Praise God! Pixabay is always coming to the rescue with highly compressed but high quality pix. Glad you liked the post. God's grace in your academic work, my dear! That is true, a true friend is the one that can love you no matter what, he can help you even when you are depressed. A true friend will be fond of his friend and will never allow any harm to come near you. just like David and Jonathan who were known as bossom friends in the Bible. Their friendship was like a bond, it was inseparable even when king saul Jonathan's father tried to kill David yet, his son Jonathan revealed the plot to David, that is a true friend. It's true that a true friend is one who not only shares in your grief but shows you a way out by giving you the best advice. God is our number one friend and he said we should love everyone as ourself. And thank you for dropping by, Donna! More grace on your ministry in Jesus' name. Hardly can look beyond these 7 reasons you gave. However a true friend will take you as you are and wants to make you better. I really love that point that says that a true will always tell you the truth. Real friends are hard to come by, now I know the criteria for choosing true friends. 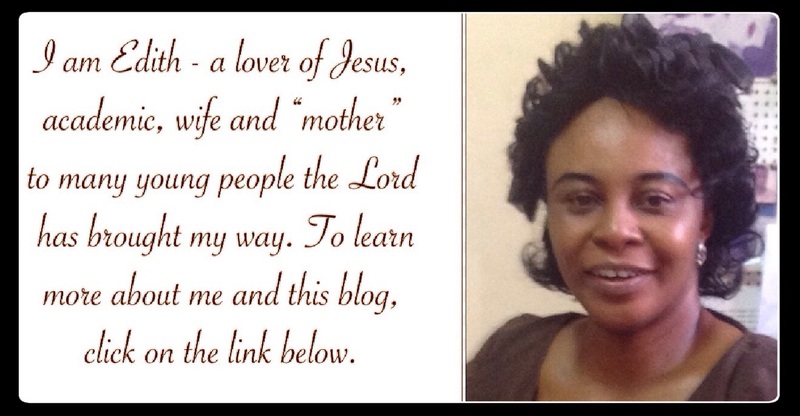 Diana Onuoha is an example of a true, good friend. Lovely testimonial! May God grant you the grace to earn the same from others in Jesus' name. Huh! I couldn't stop weeping while reading through this post. I've been having little challenges presently...and when I look around, I tend not to have confidence in my friends so I can confide in them. Then I began to ask myself questions like, "Are they truly my friends?" I was so unhappy and confused yesterday about this, I went to your office to seek counsel but you weren't there. What impresses me the most is the point: "A true friend always tells you the truth even when it hurts." These are the exact friends I need, not parasites who know I exist just to provide for them once they're in need. My heart-felt gratitude goes out to you, Faith O. (my namesake) for asking this question. And you know I'm always happy having you as my lecturer, Ma'am Edith. I'm grateful for making it possible on this platform for people like me to always get answers to our long but unanswered questions. Thank you and God bless! So sorry you missed me yesterday. I'm glad you came across this post and it blessed you. May God lead you to find friends that your relationships will be mutually beneficial in Jesus' name. Amen! Love you! I always feel blessed and hopeful whenever I see you. I'm one of the luckiest students to have you as my lecturer. Hmm do my friends really have the above qualities?And me as a friend do I have the above qualities too?true friends are more like a blessing from God .They are like family.Though hard to find ,but there,s a good feeling of confidence when you have one. The question is, "Is there still a true friend?" Yes of course, true friends still exist but they are hard to come by. So if you have one, cherish the person because they are like gold found in piles of coal. Your friends should be established in Christ, for it is only then that they can be true friends and your relationship will last. Thank you Ma for this post. When I saw this post I said to myself that I must read it, so that I'll know if my friend has all the qualities of a true friend and finally I'm convinced that she is a true friend. God bless you Ma for this wonderful post. I commend your approach towards addressing the issue Faith O. raised. The most true and sincere backup must come from the Holy book of God. You covered all aspect of friendship. Kudos! There's a saying that goes " it takes a real friend to see your pain even when covered with smile's". It takes a real to tell you to take his place. It takes a real friend to tell you, your wrong and fight for or with you just to correct them. It takes a real friend to defend you in your absence even when they know you were wrong. And please when we meet those friends never let them go because, you might not know the value of touch light till you find yourself in darkness. Thanks ma'am I'm inspired by your words. I have meet people in my life that were true friends .. People that I don't even know but staying with them over time showed me that they are more than friends. Almost all the quality you mentioned ma I have found in this special people. But the part were you said keeping your secret , I think the only friend you can open up to and he will keep your secret is our lord jesus ,this days i don't trust people with my secret.